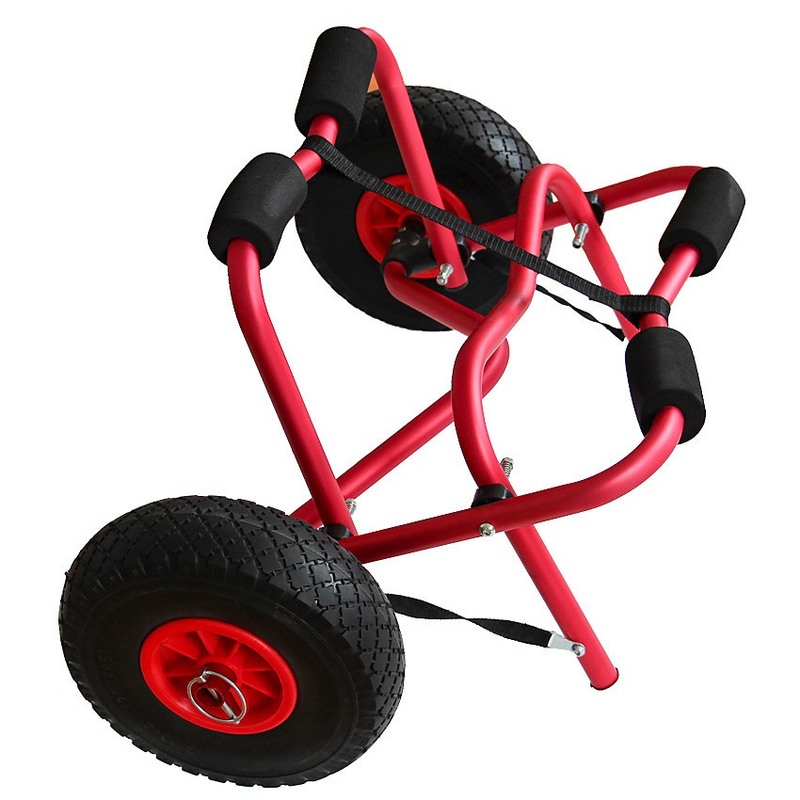 This sturdy trolley is a safest and most reliable way to transport your kayak! 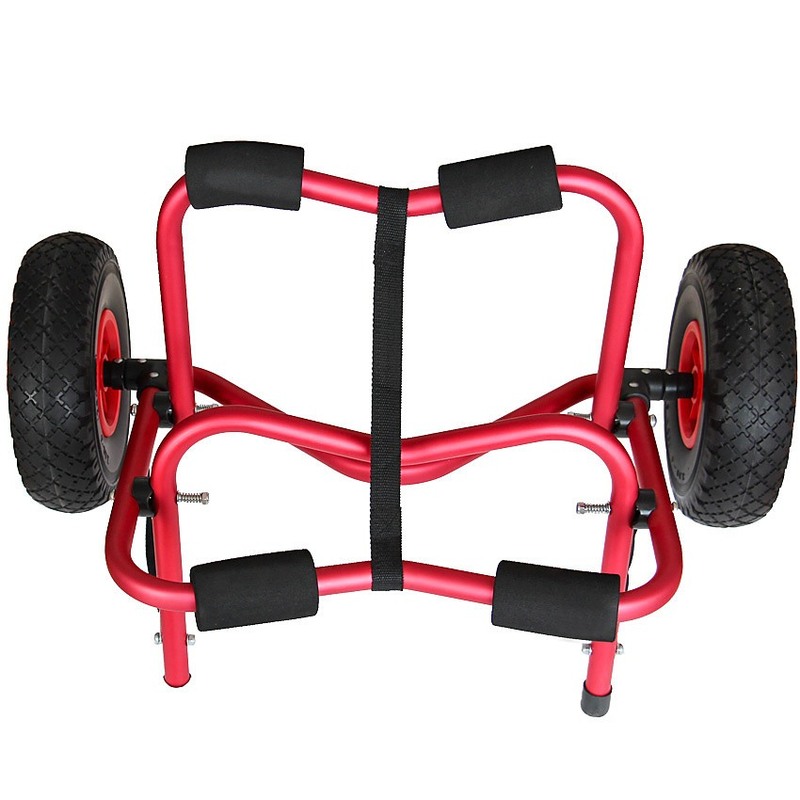 This red trolley is equipped with black tires with red rims. 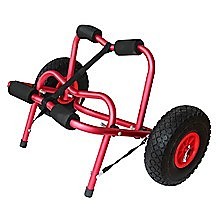 The detachable "Tuff-Tire" wheels are 26cm and will NEVER go flat! 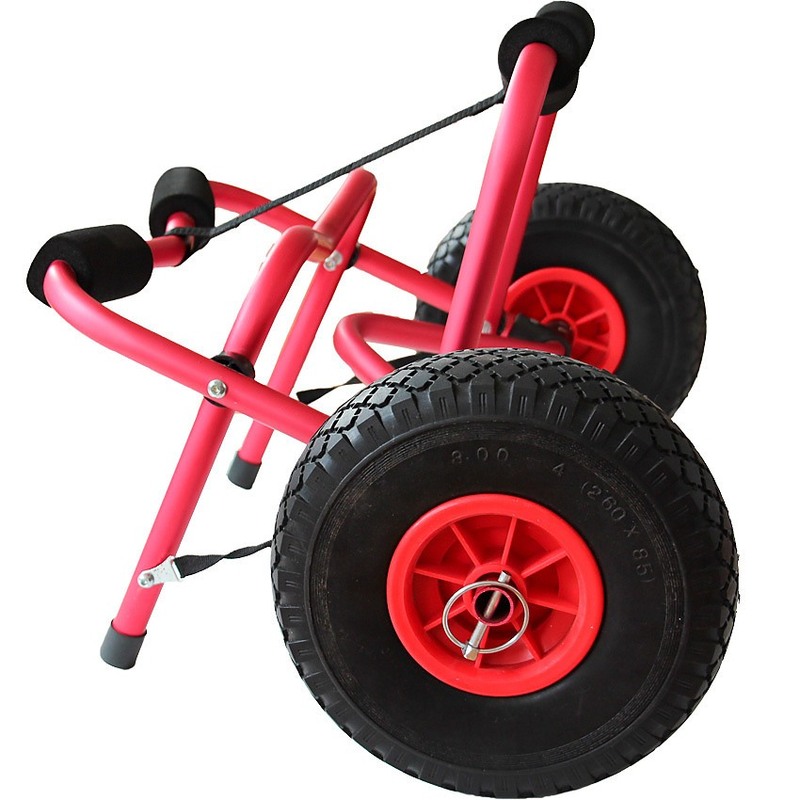 It features a double kickstand to facilitate in the loading of your boat. 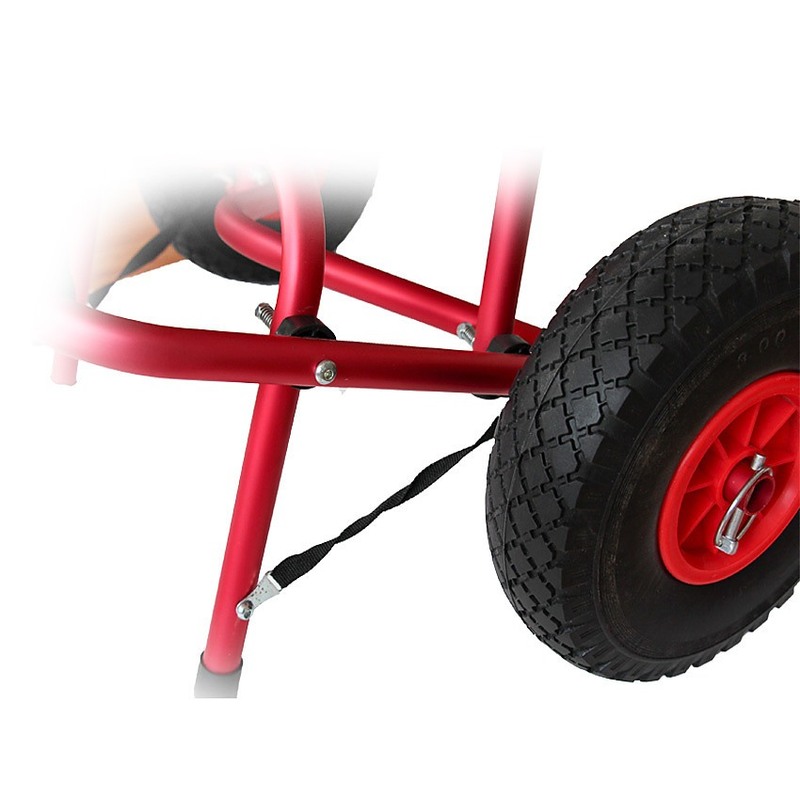 Its 2-cam buckle tie-down straps measure 13.4' each and will secure your kayak safely to the trolley. The heavy-duty aluminum frame is strong and will hold up to the weight of any kayak. 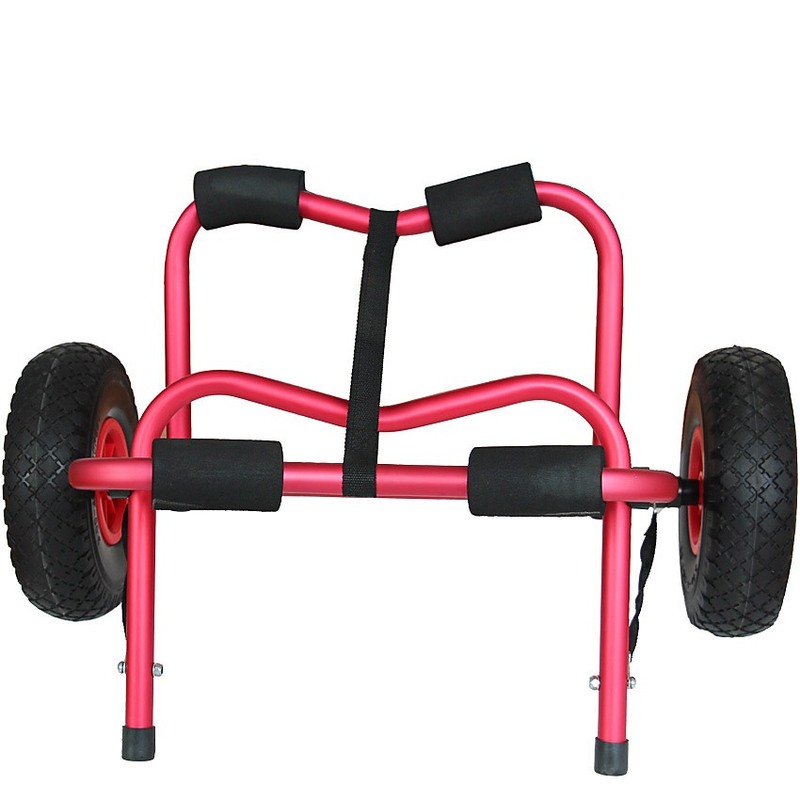 The frame is collapsible and is marine-grade rated and post-fabrication anodized. This handy accessory is safe to use. Its soft foam bumpers won"t cause any dents or scrapes to your boat hull or other equipment. 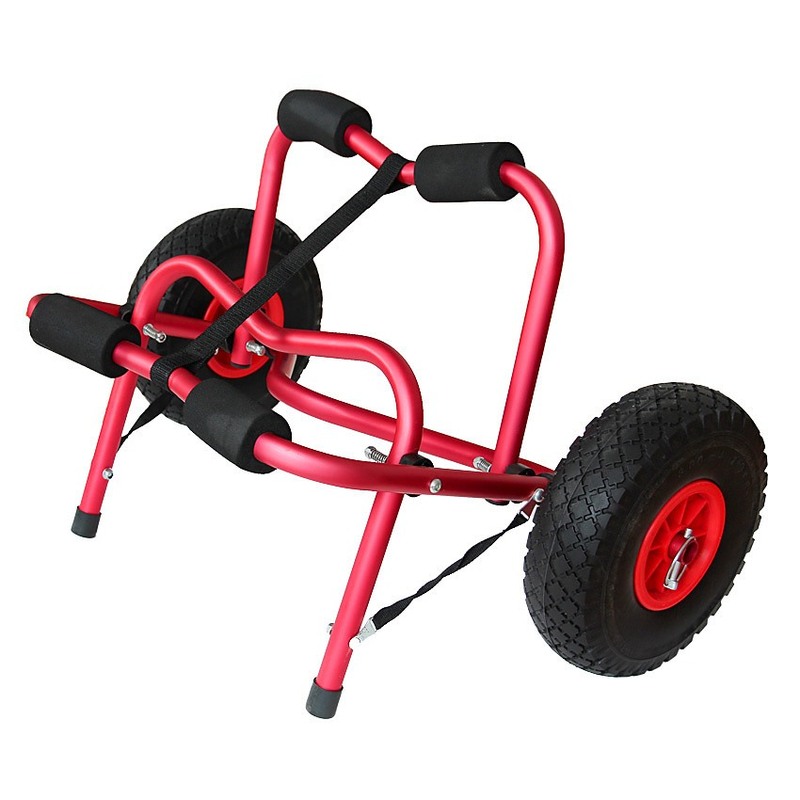 Order today and let our Kayak Trolley do the heavy-lifting for you. This convenient trolley will allow you to spend more time in your kayak and less time transporting it.